“Imagine coming home with four bags of groceries and throwing one straight into the trash. That’s really what is happening in most households,” said Karen Bakies, lead author of the new study and vice president of nutrition affairs for the American Dairy Association Mideast in Columbus, Ohio. The new survey — carried out by the American Dairy Association Mideast, which aims to provide science-based nutrition information — found that food waste is virtually ubiquitous in the US: 94% of Americans throw away food, and the average family wastes around one-third of the food they buy. 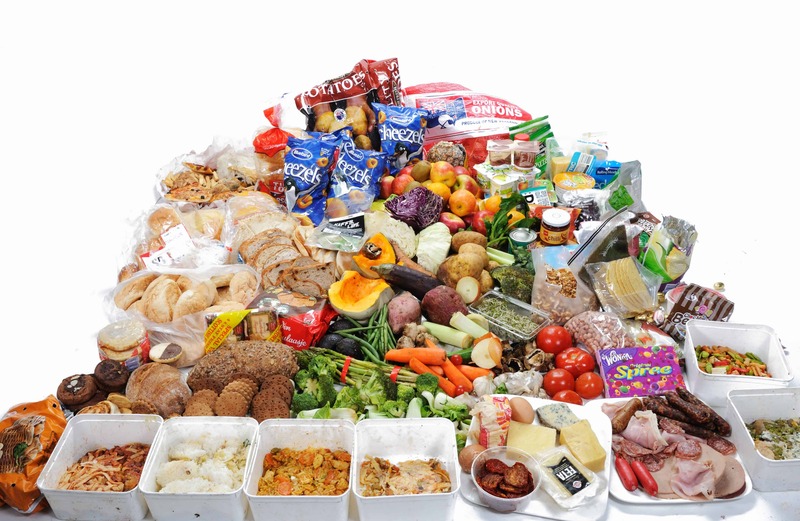 Overall, the average American wastes 250 pounds (114 kg) of food a year. “Whether people are over purchasing groceries or getting tired of their leftovers, too much food is being thrown away in America,” Bakies adds. This is problematic for many reasons. For starters, all that food takes a lot of energy and resources to produce, package, and transport, which in turn generates greenhouse gas emissions. This means that when you throw away food, you essentially throw away much more than food — you also waste the energy invested to produce it. Disposing of the food also requires resources such as water or labor. Secondly, food is not a luxury that everyone can afford — even in the US. Around 40 million Americans struggle with food, and 2.9 million households with children are food insecure at some time each year. Lastly, food also costs money, which of course means that food waste literally flushes money down the drain. Organize your fridge. “First in first out” is a good rule of thumb, because foods often get forgotten at the back of the fridge. Use the freezer. Almost all leftovers, both from cooked food or other ingredients (bread, fruits, etc) can be frozen and reheated at a later time. This not only prevents food waste, but can give you a free meal later. Get creative when cooking. Maybe you bought some yogurt for a cake, and there’s a bit left over. You can either freeze that or use it in another recipe, like a salad or another cake. Don’t over-buy. Sometimes (especially when we’re hungry) we tend to buy out at the supermarket, and often times, we buy more than we need. Keep a mental note of what’s left in the fridge and buy foods that complement those — use everything! The USDA also has a really useful app, called FoodKeeper. The app can tell you how to store and cook over 400 foods and even sends alerts when food in your refrigerator is approaching the end of its recommended storage life.